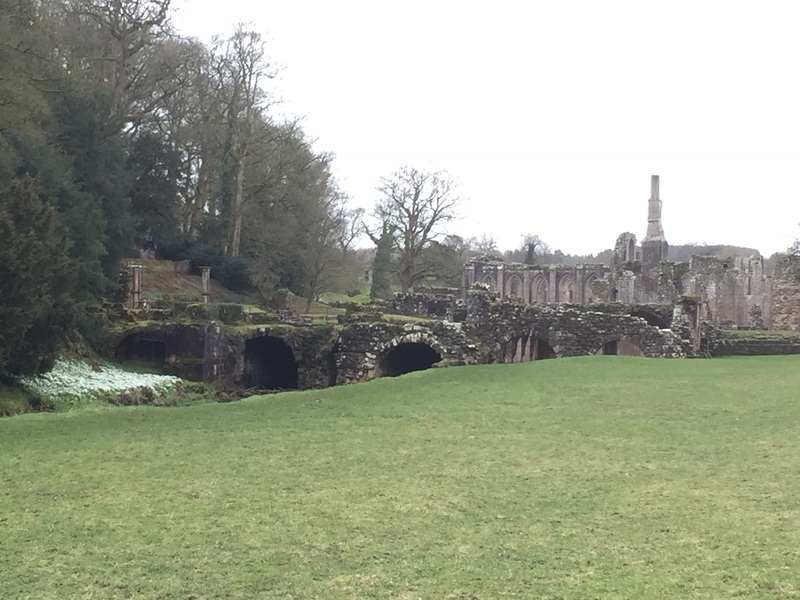 All the fine words that are spoken about Fountains abbey cannot prepare you for the first siteing as you meander down the well trodden track from the reception area. What you see is a long piece of well manicured lawn with a small river running down the side and what can only be described as a vision of beauty. The Abbey stands there saying “look at me!” I honestly thought in my head that I heard them words. 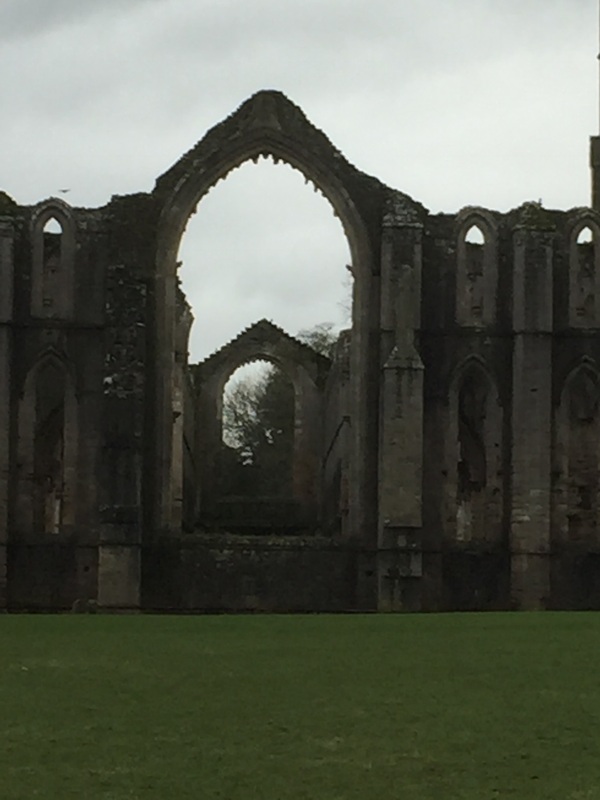 The Sunday that we visited the abbey was a very grey and damp March day but there was lots of families about, all dressed in there wellies and rain coats with kids running about just enjoying the open spaces. We took the circular walk (De Grey’s Walk) around the grounds with the intentions of having lunch at the cafe, but we just miss timed the cafe because it was very busy with a large queue. 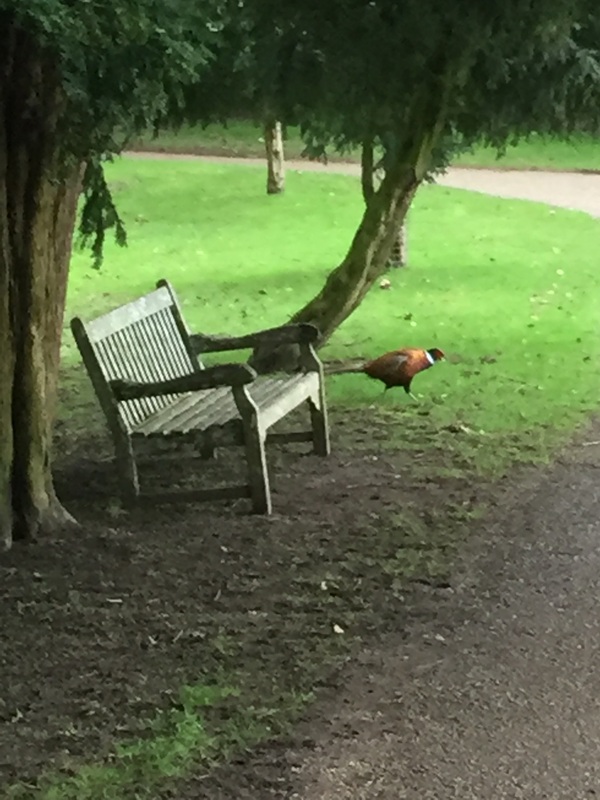 Never mind, we carried on walking around the grounds and came to a bench that had the most beautiful views. 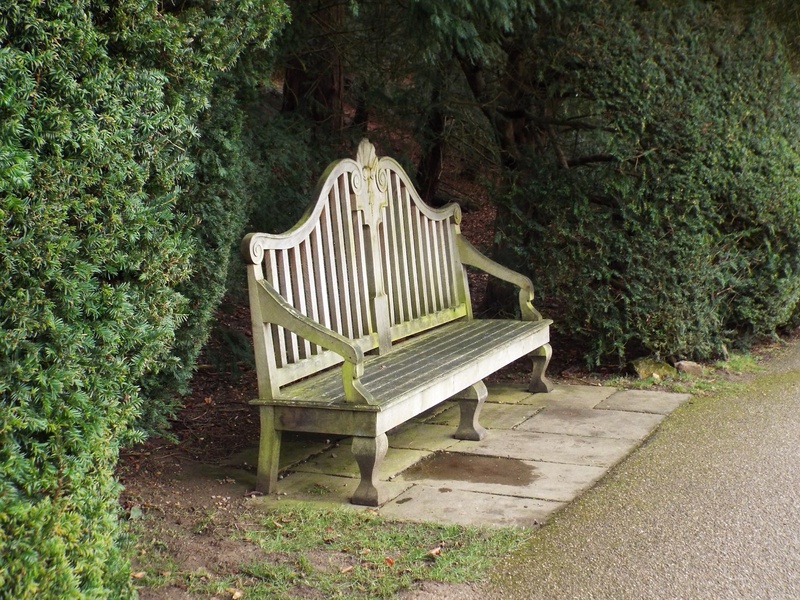 One of the good things I noticed as we walked was the amount of ornate benches scattered around the grounds that fitted in perfectly with the grandness of the abbey grounds and water gardens. 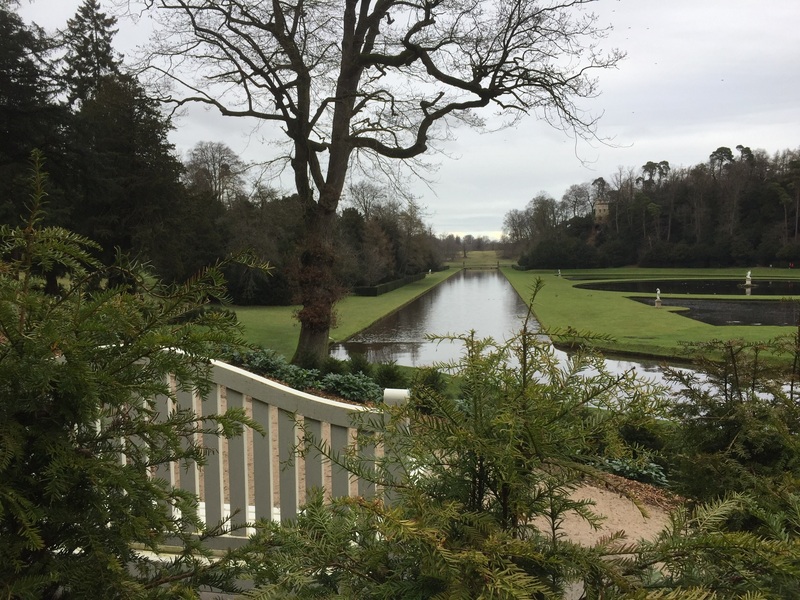 What a lovely view across the water gardens. On our return to the front of the abbey we managed to get a seat in a small cafe and we enjoyed our soup and sandwiches, washed down with a lovely pot of Yorkshire tea. Just for information, there is a extensive restaurant up in the reception area but as we didn’t use it, so I am not sure what it serves. 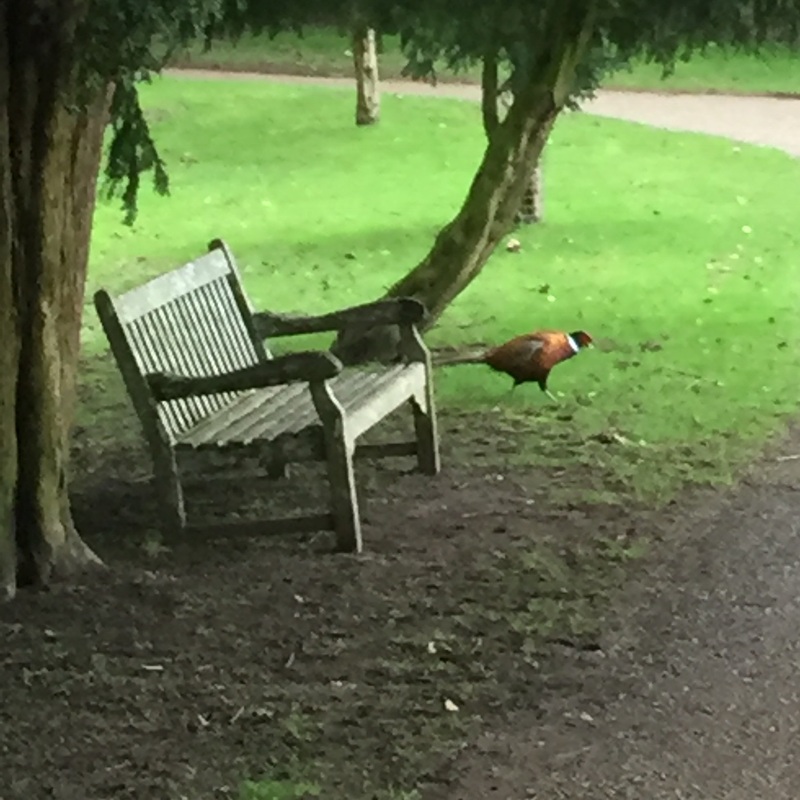 Another good thing about Fountains Abbey is the facilities :- On our walk we came across a well thought out children’s area with picnic benches to have your lunch or snack. There was also an area for playing ball games and making camps whiched looked so much fun (wish my kids were younger). 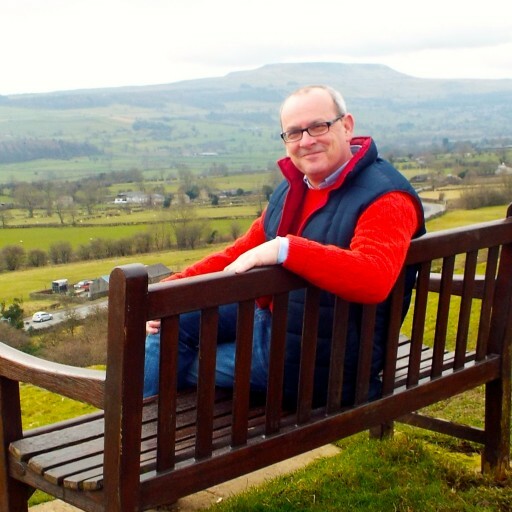 The toilet facilities are scattered about the ground(I used three of them so I know there’s at least three) and if you have a problem with climbing of descending down to the abbey, just let them know at reception and they will run you around in their minibus. 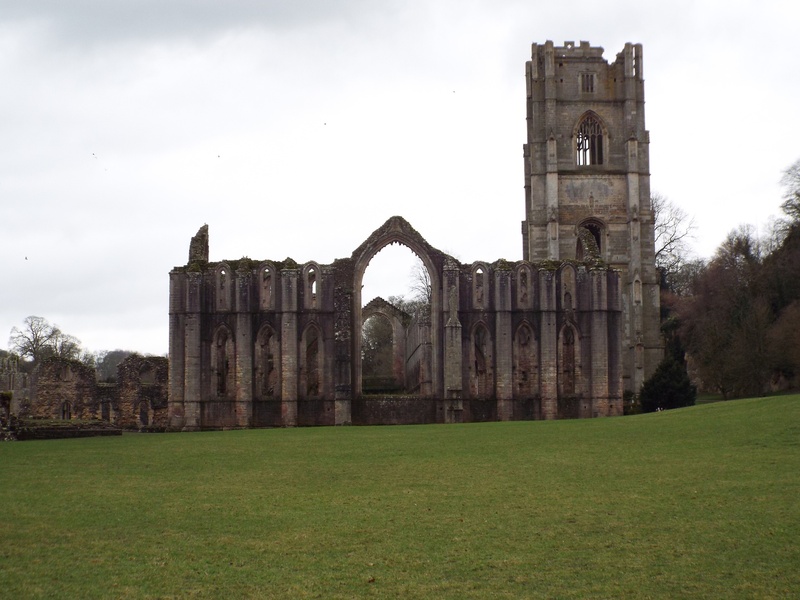 We thoroughly enjoyed our day at Fountains abbey and and we never even got around to visiting the follies or going out to the deer park. I would highly recommend it as a great day out for all the family and I can’t wait to go back over the summer when we may or may not get better weather. 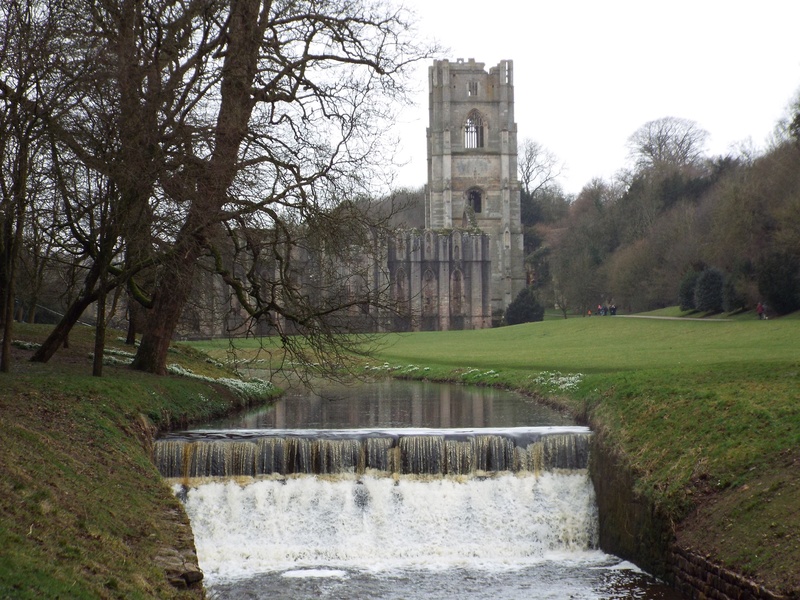 Please check out their website at www.nationaltrust.org.uk and then type Fountains Abbey in the search bar. It will bring up everything you need to know about this little piece of English history. Finally I would just like to thank all of the staff, from reception to the gentleman who asked me if I wanted a lift back upto my car (I must have looked in a bad state) anyway thanks again you all helped us have a great day out.